The priestly garments were allowed to contain an admixture of wool and linen that is normally forbidden. Why is this? And why is it normally prohibited? Rabbi Mendel Kaplan is the Spiritual Leader and Executive Director of Chabad Flamingo in Thornhill, Ontario, serving one of Canada’s most dynamic Jewish communities. He also serves as Chaplain of the York Regional Police Service. He is an active member of Toronto’s Vaad HaRabbanim (Council of Orthodox Rabbis), and a voting member of the COR Kashruth Council of Canada’s executive rabbinical board. 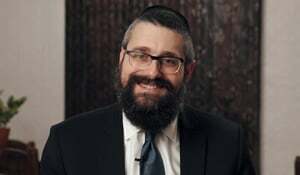 Rabbi Kaplan is featured regularly on many local television and radio shows. He is a sought after speaker, with hundreds of lectures are on Chabad.org. He and his wife, Faygie, are blessed with eight children. Artistically endowed, the rabbi enjoys drawing, sketching and creating charcoal portraits. Deeply appreciate the sharing of your vast Torah knowledge. I can listen in my car on my long trips to Miami. It's such a great mitzvah that you are giving us! their simplicity, as well as their complex origins. Each week, Rabbi Mendel Kaplan will delve into that week's Torah reading to bring out a practical lesson for life and explain the Biblical sources for the customs, laws, practices and ethics of our people. When Did a Kohen First Become a Kohen?